Most of you guys know that I am a huge fan of volkshochschule stuttgart. 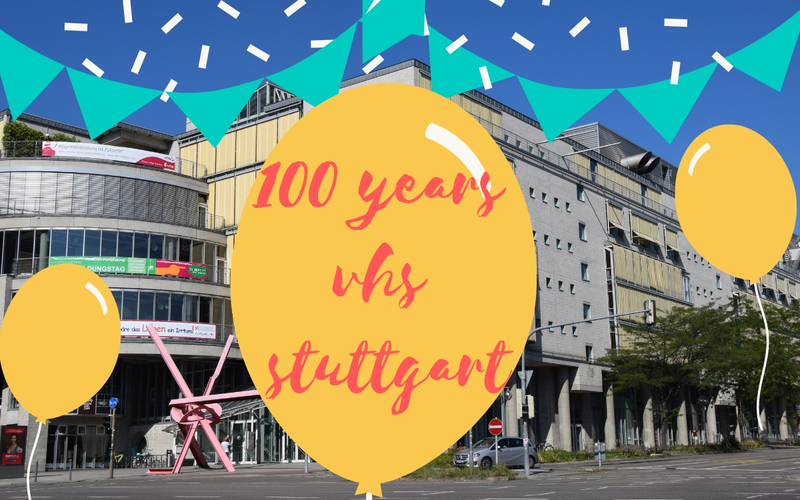 And now vhs stuttgart is turning 100 years old! Wow, Happy Birthday! And the best part about it: We are the lucky ones who get the presents. Throughout the years I have taken many courses at volkshochschule stuttgart – I’ve learned how to typewrite with ten fingers, I painted my first pictures with acryl, I took Czech lessons and much more. When vhs stuttgart introduced their new English program last year, I was excited instantly because I knew that from now on, not only German speakers but everybody who’s living in Stuttgart can benefit from their various and fair priced courses. 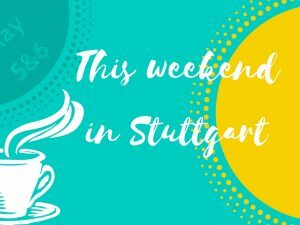 If you don’t know vhs stuttgart yet, their anniversary week from February 18 to 22 with all its free courses is the perfect chance to do so. 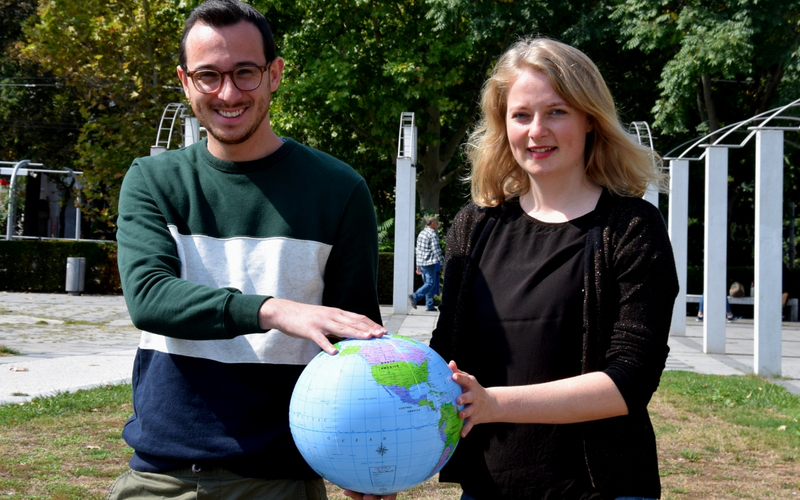 I’ve talked to the supervisor of the English program, Daniele Nuccetelli and Meike Klom from the educational staff to find out more about what’s going on during the anniversary week at vhs Stuttgart. Mel: 2019 is a big year for volkshochschule stuttgart, you’re turning 100! And you will celebrate quite a big birthday party, one that will last for one week. Tell us more about the anniversary week. Daniele: 100 years of history is such a milestone that only one day of celebrations won’t be enough! From 18th to 22nd February, we will be celebrating our “birthday week” in our main building in the city centre – Treffpunkt Rotebühlplatz. 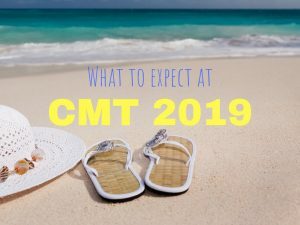 All visitors are invited to attend the incredible variety of free events and courses we have planned for these days, including open days for many courses, tester courses, placement tests for foreign languages, educational counselling, talks, etc. You can find the whole program here. Mel: Do you also offer special courses in English during this week? Meike: Absolutely! We have 3 English-speaking events taking place during the birthday week and all of them are attendance free! 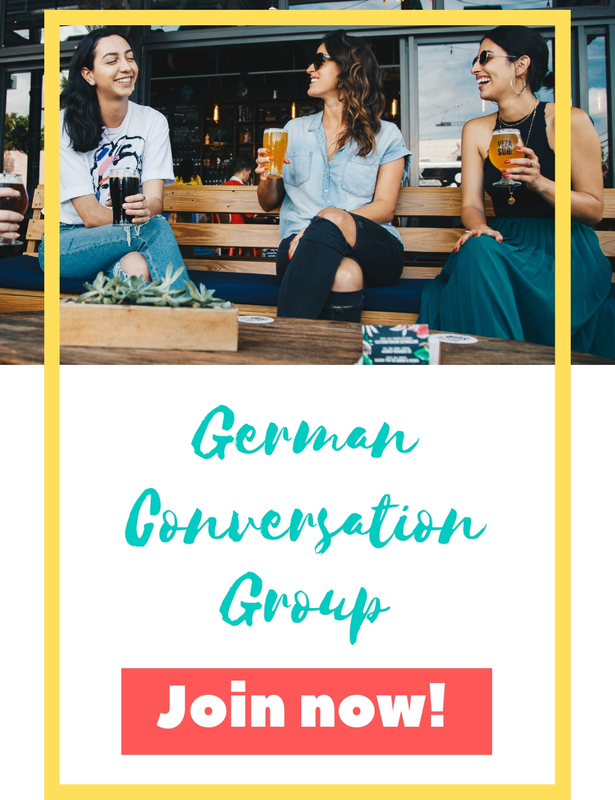 For those who want to learn more about the history of Germany and the foundation of the Weimar Republic a hundred years ago, there’s the talk The Revolution of 1918-19 and the Path to Democracy in Germany. For those interested in cooking and up-to-date topics to discuss, there’s Dinner & Dialogue… we’ll be literally serving food for thought! And Mel, we’re looking forward to your class on How to start your own blog – a great chance for all those who want to write their own blog and need useful tips. 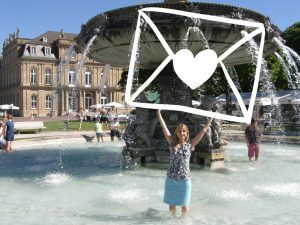 Mel: Oh yes, I’m very excited to have my own talk at vhs Stuttgart! I’ve heard that vhs stuttgart holds even more presents in stock during anniversary week. Could you tell us more about that? Daniele: We have a small surprise in store awaiting all those who will sign up in person for one of our classes during the anniversary week… Come and find out :-)! Mel: Besides the birthday week and the jubilee, which other highlights await us this semester? Daniele: For vhs international – English Program, we’ve been focusing on the needs and wishes and I’m sure everyone will find something interesting and stimulating. I am particularly proud of the amazing variety of cooking classes in the category Taste the world. Meike: Yeah! The courses in the category Health & Fitness are also ideal for the people who want to stay fit and live a healthy life. And if you want to explore the city and its surroundings, the tours in the category Discover Stuttgart will take you to beautiful places like the Observatory and the Film Academy of Baden-Württemberg. Mel: 100 years is a long time for an educational institution. 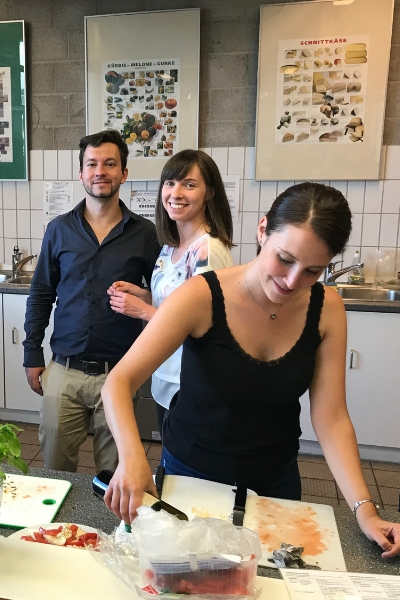 What do you think makes the concept of volkshochschulen so special that it is still around after such a long time – and even growing? Transparency: This post is part of my non-paid partnership with volkshochschule stuttgart.